Certainly, everyone is aware of the gay market. You're likely already involved. But how can you "think outside of the triangle" and advance your positioning in this increasingly competitive space? We will be showing you some of the current trends in making outreach to consumers using the latest Web 2.0 tools including MySpace, FaceBook, Blogs, YouTube, RSS/XML and more. Find out how and why other companies are utilizing these technologies to get the word out to consumers online, and learn more about some of the unique opportunities in the GLBT Web 2.0 space in targeting gays & lesbians online. Are you using Content related to your organization or business in order to increase your online exposure and search engine rankings? Does your website utilize any of the viral, social networking opportunities for visitors to spread the word about your content far and wide? Have you thought about some creative ways to use Online Video to your business advantage? Have you thought about Entering the Conversation with blog and new postings relevant to your industry? Are you using LinkedIn.com to its full potential? 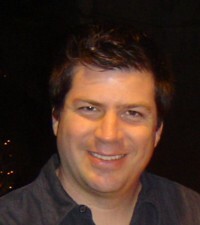 Matthew Skallerud, President of Pink Banana Media, began his career in the gay & lesbian marketplace when he founded GayWired.com in May of 1995. He successfully led GayWired.com into one of the premiere and dominant gay websites worldwide, translating that success to LesbiaNation.com and QTMagazine.com (gay travel site). In 2001, he expanded this online reach by launching a company focused on both developing niche-oriented websites for the gay & lesbian community and helping companies large and small reach these gay & lesbian consumers through this expanded network of websites, which included GayMonkey.com, GaySports.com, Navigaytion.com, PrideParenting.com and GayBusinessWorld.com, just to name a few. Having sold these sites, his focus is now on the latest in advertising and marketing utilizing social networks and tailoring their opportunities to the GLBT community. Skallerud starts with the basics of banner ads and e-mail, but expands into the more advanced world of blogs, social networking and online video, and how those components can tie into an overall online marketing campaign including banner ads for some of the best performance for his clients. 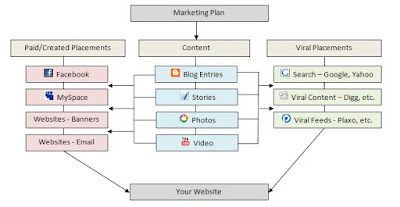 His goal is to work with companies wishing to increase the efficiency and performance of their online marketing endeavors, using some of the "tried and tested" of the past few years and merging with some of the new, since "new" is where the eyeballs are continually migrating to on a daily basis.